I'm so behind on the blogs from the past two weeks...UGH. I decided to go ahead and start this week's, so I don't fall even further behind! It seems like every night I have trouble sleeping because of one thing or another. It's either something allergy-related or spine-related. Last night it was itching from allergies. I had to put Benadryl lotion all over my back and arms, and any other place that itches a lot. This is a common occurrence. Today, I must have pulled a muscle or something because my back was hurting a lot whenever I bent over or turned a certain way. It might be from doing the laundry. Thank goodness for Aleve! Class was fine, as usual. 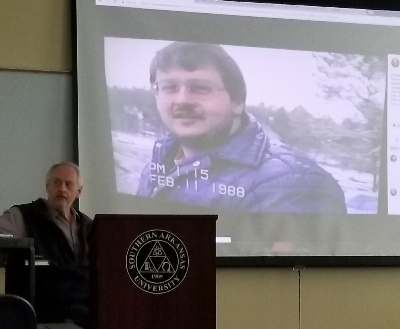 This is a pic I took of my professor, who was showing us a photo of what he looked like in 1988, when he came to SAU. I've spent a lot of time today on my site, doing the necessary weekly things... Before class, I'm usually at Reynolds in front of the coffee place with my soda. Three ladies usually sit with me (on their breaks). We're all about the same ages, in our 50's. One is an office manager for Aramark; one works at the coffee place; and one is a nurse who takes care of her mom but also works as a cashier at the cafeteria. We have some funny discussions sometimes. We were talking about pot today! It was hilarious. It's just nice to have people my age to talk to. Class was fine. I'm looking forward to this week's blog post because it's about binge-watching. It works out well because i've been binge-watching "Jessica Jones" Season 2 on Netflix. I would write it now, but I have a few other necessary things to do first, for my site. David took me home, and he took Brandy to the vet. Brandy swallowed a plastic bottle cap on Friday. I should have taken her to the vet on Saturday, but I just forgot. She seemed fine, like her usual self. She has allergies, and the vet told me to give her Claritin, but she was throwing up on Saturday after she had that, and she seemed very lethargic (and didn't eat her food), so I gave her Benadryl on Sunday instead. She's had that before and seems to tolerate it better. I called the vet today, so they said to bring her in, just to make sure she's OK. David can't go back and forth too much, so he's picking her up tomorrow. Tomorrow I have to go to the doctor myself. I stopped taking the Glipizide because my blood sugar kept dropping too low, but now it's too high all the time. I'm on a diet, so I'm eating way less than usual, so it shouldn't be so high. 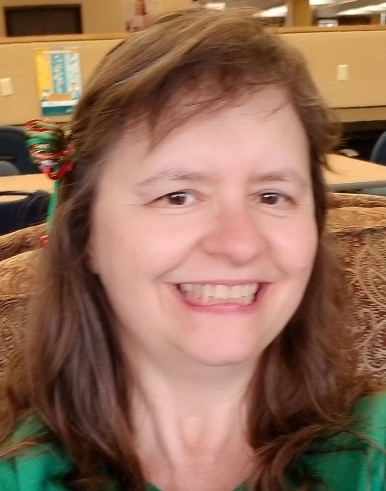 I phoned the doctor to see if I should take half the Glipizide, since some people had suggested that to me, but she said to come in tomorrow for an appointment. David will pick up Brandy at that time, too. I've been playing phone tag for a month now with this guy, Scott, an electrician. He's the one who put up our TV for us after we got it, along with another guy, Richard. Richard is a handyman and has helped me many times, but he can't do electrical work. 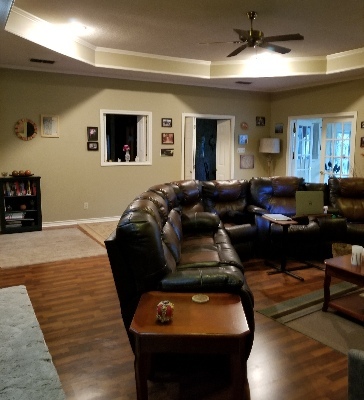 Most of the lights in this house are recessed lighting, which look pretty, but they're hard to change, especially since we have really high ceilings. Some of the lights no longer work, and some David couldn't figure out how to get the cover off. So I wanted Scott to come by and take a look at them. We were worried that there might be some kind of short in some of the lights that tend to flicker on and off. Scott came by early this evening, and he was here for about an hour and a half. I helped him by handing him lightbulbs, turning the lights on and off, etc. So now, almost all of the lights work again. It's really nice because we were down to one or two lights in our living room, and only one in the bedroom. He has to come back because three of them need new switches and two need new sockets. Before he came, I spent some time picking up around the house, and light cleaning, so it wouldn't look too bad. 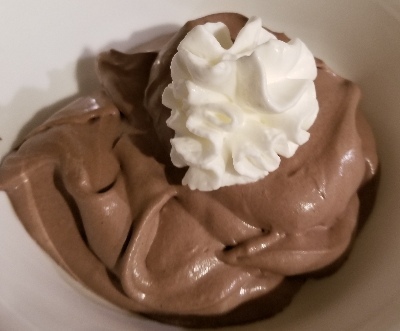 I made some sugar free chocolate mousse...the recipe is on the back of the Hershey's Cocoa box (I just substituted Splenda for sugar). Very yummy! I stayed up pretty late, doing work on my site. Then I had trouble sleeping because of back spasms. I just spent too much time on the computer, and that's why I keep having these spasms. I took medicine, put Ben Gay on my back and then had a hot shower. Eventually I was able to sleep a little. I had a very hard time getting out of bed this morning, but I managed. Somehow! It was a tough day in many ways. I forgot that I was going to warm-up my voice at home before my lesson, but I completely forgot. My brain was pretty foggy all day. 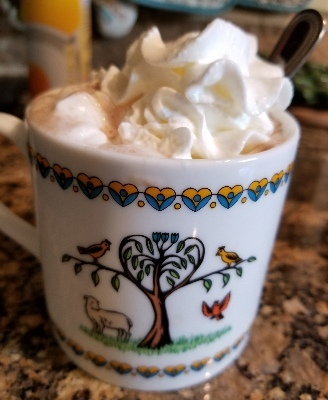 It was a bit cold today, especially this morning, so I made myself a little mocha (coffee mixed with hot chocolate). I forgot to take my jacket, so I was kind of cold on campus. I had just a little sweater over a T-shirt. 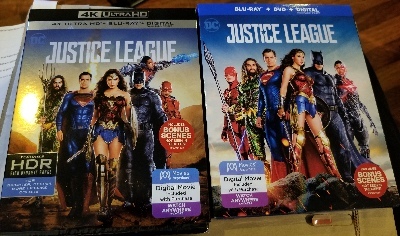 I finally get to see "Justice League!" I pre-ordered the DVD and it came in the mail today. 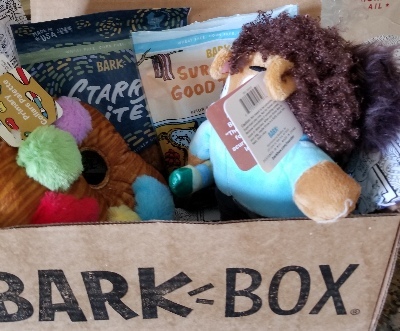 I stupidly ordered two by accident, so I sent the other one back. I only had about 10 minutes to warm up before my lesson. I was really sleepy and tired. The lesson went ok, despite that. I have a lot of tension in my neck when I sing, so we worked a bit on that. I wore my new Black Panther T-shirt and got some nice compliments about it. One girl, who has voice lessons after me, said that I was hip now. I said, hey, I was a geek long before it was hip! I read the Black Panther comics back in the 70's. I kept falling asleep in my other class. I couldn't even concentrate on doing work on my laptop. 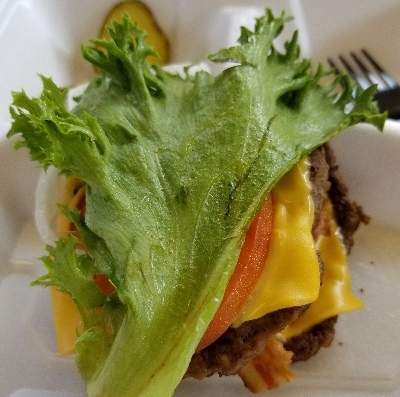 I had lunch at the burger place; Chick-Fil-A had too long of a line. Their burgers are good, but I really need to stop eating out, since it keeps making me sick. David took me to the doctor around 1:30. She just chatted with me and took some blood for the a1C test. She gave me a new prescription of Glipizide, the drug I stopped taking last week. This prescription is only 5 milligrams instead of 10, so maybe it'll work better. We picked up Brandy from the vet after that. They did an X-ray on her and didn't find anything. She's eating fine and acting normal, so she must have passed that bottle cap. After we got home, I took Brandy for her walk around the neighborhood. Then we took a long nap. Much too long! I'll have trouble getting to bed early tonight. Now I'm working on my blog/paper that's due tomorrow. I posted on Facebook about something...some people just don't read or can't read very well. It's so annoying. I posted: "One in five adults has at least one tattoo. I'll bet that most of them are under 50..." So, of course, a bunch of people over 50 said, "I have a tattoo!" or "My neighbor has a tattoo." Uh, yeah, that's why I said MOST and not ALL, you idiots...Duh! I had a big breakfast of turkey sausage, spinach, scrambled eggs and cheese sauce. My mistake was not having anything much with carbs....later on, when class was almost over, I felt shaky. I tested my blood sugar, and it was 61. Too low! Although it was after 1, the professor kept us late, but I had to rush out to get some candy from the machine. I used to have some books written by Susan Sackett. A friend posted that Ms. Sackett was selling some Star Trek stuff on ebay. 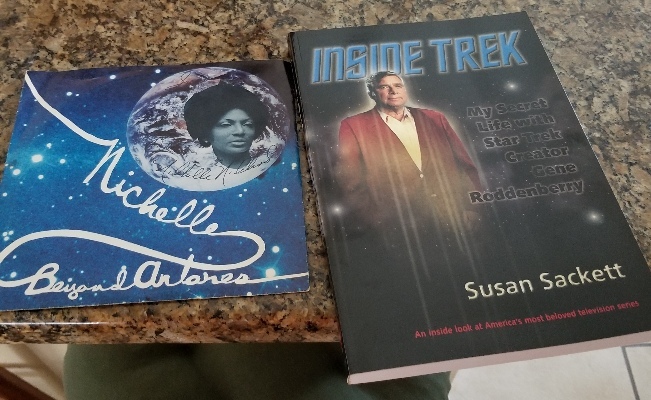 I looked at it and bought her book, and an old 45 of Nichelle Nichols singing a song that she sang in the Star Trek episode "Charlie X." It's autographed by her, too. Ms. Sackett also autographed the book for me, which was very nice of her. They came today. 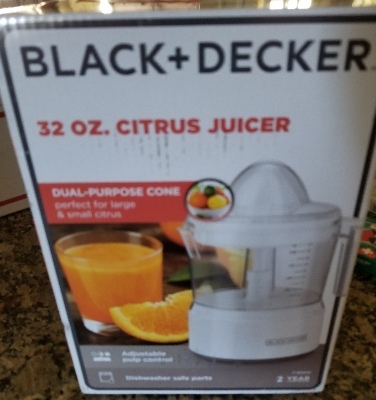 My new juicer also came, and Brandy's new "Bark Box." Besides my blood sugar, I was also sick again, probably from eating out yesterday. After my class, I chatted for a minute with two ladies that work with David. They're both very nice. It's great to talk with people I actually know. That's what I enjoyed about speaking with the ladies in Reynolds, too. After I got home, I walked Brandy, as usual. Then we took a long nap. 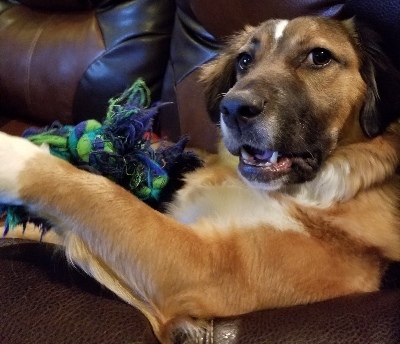 I gave her one of her new toys, so she busied herself tearing that apart while I napped. Eventually, she tired herself out and went to sleep, too. For dinner, I had a good stir-fry with some low fat hamburger, spinach, herbs, and cheese sauce. Yum! 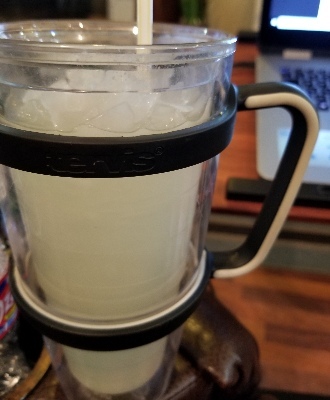 I also used my new juicer and made a whole pitcher of lemonade. It was awesome! So easy, too. Much better fo r my poor, weak hands. I stayed up again to write my blog/paper for my other class...not quite as late as last night, though. I also read some of the book I bought. It's very easy to read, actually, so I got through about half of it. I didn't realize that Ms. Sackett had been Gene Roddenberry's secretary and had a long affair with him! Wow! That makes it an interesting book to read as well as all of the Star Trek stuff. I didn't feel much like cooking or anything this morning. I was very tired. I had some pepperoni and cheese, and a few chocolate-covered blueberries. Later on, at the school, I bought some little squares of chocolate that have caffeine in them. Each square is half a cup of coffee! It really woke me up, so that was nice. I don't like coffee or tea, and soda doesn't quite do the trick when I'm this tired. I was happy to learn from my professor today that I don't have class tomorrow. Yay! So today is my last one before spring break. I'm excited. I got food to go from Chick-Fil-A, and then David drove me home. I walked Brandy as usual. I still don't understand why two of my neighbors still have Christmas decorations up! It's March! Geez! I haven't put mine away yet, but at least I don't still have them up for everyone to see. 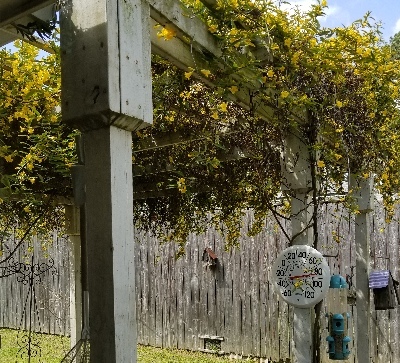 It's very beautiful outside right now, with all of the flowers blooming. I walk around out neighborhood and just stare at the beautiful flowers and trees. When we took Brandy to the vet the other day, we left her leash in the car, and I keep forgetting to get it out. Instead I've been using these nylon leashes from the vet. I see why they like them. Not only are they cheap, and easy to slip on and off the dog, but it makes the dog not pull too much on the leash because it kind of chokes her if she does. It sure makes for a nicer walk. Trisha came by briefly, so I could pay her. She got to say hi to Brandy, which they both enjoyed quite a bit. I had a nap for about 3 1/2 hours, since I was so tired. I will be up late tonight. I had Chick-Fil-A grilled chicken for lunch, and I had one of their salads for dinner. My blood sugar was pretty good all day. Finally! Usually at night, I'm either itching too much, or having back problems. I have various medicines I take. Wednesday night was bad, but tonight was fine, and I was able to sleep well. I slept very late. I didn't get up until about 1pm, but it felt good for a change. Brandy was sleeping with me for most of the morning. I tested my blood sugar when I got up, and it was over 200. I have no idea why. It's usually high when I get up, but not that bad. Anyway, I had a large breakfast, similar to Wednesday, but I made sure to eat some chocolate so it wouldn't go down too low like it did on Wednesday. I tested my blood sugar two hours later, and it was fine (a little high in fact). I did a lot of work this morning for my site. I decided to walk Brandy around 5, less than an hour after I tested my blood sugar. We had a nice walk. It was a little warm outside, but not too bad. When I got back, I was very hot, so I first got undressed, and then I grabbed some sugar free popsicles from the freezer. I went to sit down, but I felt shaky, so I tested my blood sugar. It was 49! In an hour, it had fallen from 152 to 49! That's ridiculous. I ate a bunch of candy to bring it back up. I felt awful for a long while. David came home and we went to the Japanese restaurant for dinner. It wasn't very good, and I didn't eat much. I had a glass of wine. David is a quick eater, especially now that he has so little time, so I didn't have time to get a second glass. After that, we had a pretty nice evening at home. We watched TV and played with Brandy. I finished the rest of my Star Trek book. It was good, but it had a sad ending. 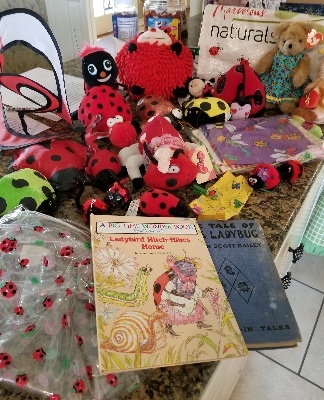 A nice lady in Canada was paring down her collectibles, so she sent me a free box of ladybugs! That was very neat. I watched some TV and did more work in the evening. Nothing very exciting! I stayed up pretty late, by choice. I slept fine. I was a little congested last night and couldn't find any Sudafed. I woke up just after 11. David picked up some Sudafed for me at the pharmacy, and then we're going to lunch and the grocery store. My allergies have been terrible. Well, it's almost Spring, so that's why. My blood sugar was over 200 again. :( I had a small piece of this chocolate called Awake that has extra caffeine in it. They sell it at the university. One piece is the equivalent to half a cup of coffee. 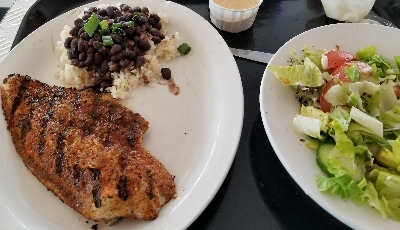 Then I had a healthy meal at Flying Burger, like usual: grilled catfish and a salad. Then we went to Brookshire's to pick up just a few things. After we got back, I was very tired, but I went ahead and walked Brandy, to get that over with. It was way too hot out there. It's in the 80's today! I was not dressed properly for that. After we got home from our walk, I was very hot. I tested my blood sugar it was 87. I read that it's bad when it gets below 70, so I wasn't terribly worried. Then I noticed that I was starting to feel sad and mopey, so I said, whoops, I better eat lunch. At this point it was about 5pm, so it had been 4 hours since I ate breakfast. I should have eaten sooner, I guess. 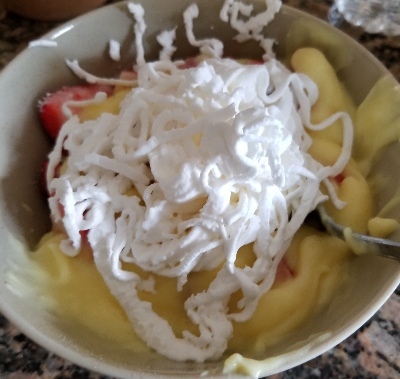 I had two turkey and cheese quesadillas, and then I had some sliced strawberries with lemon sugar-free pudding, with whipped cream. I had too much, not good for either my diet or my blood sugar. Well, next time I won't over do it. I was tired and had a short nap after that. David was out doing his walking at the SAU trail. After he came back, I got up and made his dinner. 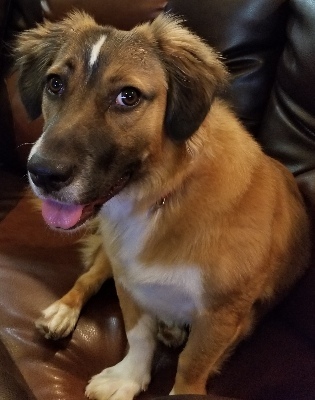 We spent a nice evening with Brandy, watching TV. I did a lot of work writing and watching TV. I'm almost finished binge-watching "Jessica Jones" season 2. It was not a very exciting St. Patrick's Day, unfortunately! Last year we were in Hot Springs having a much better time. The 3 years before that, we were in Hawaii. They always had a big outdoor party down by Murphy's on St. Patrick's Day. It was crowded, but fun, and a lot of people dressed up. 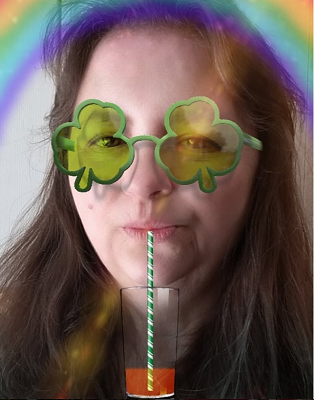 Before that, we often had some very fun St. Patrick's Day celebrations when we were in Vegas, or Memphis, or other places. Not every year, though. I woke up after 11. David came by for lunch around noon, and we went to El Compadre. It was a lot more crowded than usual, but it wasn't a problem getting in or anything. We probably went a little later than usual, so we saw more of the church crowd. Then we went to Wal-Mart, like usual. David got his haircut. I need one, too, but I wasn't feeling up to it. I shouldn't have eaten at that darned Japanese restaurant again. I always get sick from eating there. We didn't have a lot to get at the store, thankfully. After we got home, David went back to work. He's spending a lot of time there lately because of some extra work he has. It'll all be over next Friday when this thing is due. It'll be nice to have him back on the weekends. I was tired, but I took Brandy for a walk, to get it over with. I had been very cold when we went out, but after we were walking just a little bit, I got really hot. Brandy was happy to see the boy down the street. He always sits or kneels down and she crawls in his lap while he pets her. It's really sweet. I should get a picture next time. He's a nice kid. He and his brother, or friend, were practicing fishing and had their rod and reel that they were showing me. It casts really far. I was appropriately impressed. The kid always talks about how much Brandy likes him. I always feel like saying, "Hey, kid, she's a dog. She likes anyone who pets her, plays with her, feeds her, or pays the least bit of attention to her!" But of course I always agree that she really likes him. LOL! 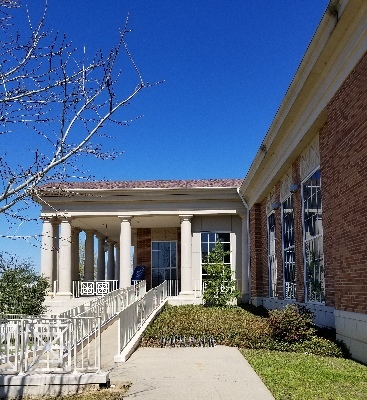 It's so beautiful out now with the flowers and trees all coming in. The cherry blossom trees are all turning to green now instead of white. The purple trees are starting to bloom. It's just very lovely. Of course, there's also lots of pretty sounds of birds and frogs. When we came back, I put Brandy outside so I could move all of the baby gates back where they usually go. We always put the baby gates in the bedroom with Brandy, when we go to the story or anywhere, to prevent her from chewing the furniture or scratching up the walls. Then I have to put them back out in the livingroom and sunroom when we move her out there. They prevent her from chewing on the sunroom furniture and from going into other rooms where she's not allowed. We have our little routine down now. She likes to follow me around, usually, while I put the gates back, but she was very hyper this morning, so I didn't want to deal with her following me around. I just put her out, and she barked and whined, but that was easier to deal with. She's so sweet and cute, but also very annoying sometimes. This week I hope to start teaching her some good commands, like "sit," "stay" etc. Now I have to do work on my site. I'm very sleepy, though, so I might also take a nap. I took a very short nap. David came home, so I made him dinner. We listened to the 70's countdown on Sirius that I recorded earlier. I was sick a lot today, so I didn't feel like doing much, besides working on my site. Later I did the dishes, cleaned up the kitchen and started the laundry. 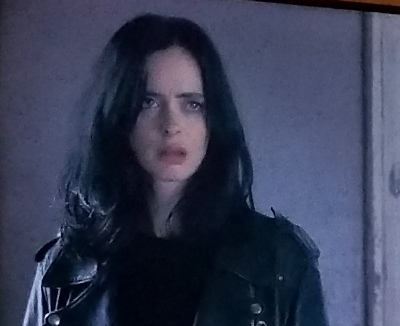 I finally finished watching "Jessica Jones!" Great show. I also did a lot of work on my site and watched some other TV. I've been staying up late because I'm on spring break and can sleep in! I went to bed about 4 am and still had trouble sleeping from neck pain. I spent too much time on the computer. I got a lot done, though.